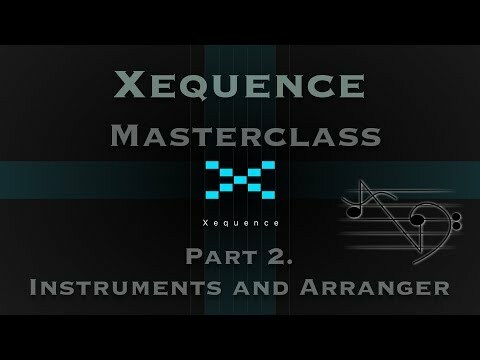 I am doing a Master Class series on Xequence. I will add links to the parts as I complete each video. Part 8. Lets use what we have learned!!!!!! Eager for the series. Thanks! This is excellent. Thank you. Super awesome and we appreciate you bro! Very cool, great to see this being worked on. Finally, someone did a REAL video, and it's great! Thank you! Wow. That's just fantastic. Well done. Infinity upvote. Honestly, I'm really hoping that @SevenSystems beats you to number 7 and updates with midi clip import to current file. I also hope he makes you produce video #9 on multi channel record. Super great smooth app, and have been pleasantly surprised at the easy transition over from previously using the underdeveloped Modstep. 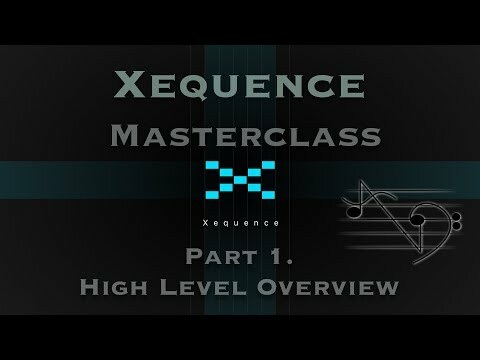 Highly recommend Xequence for all your midi editing needs. @SpookyZoo can totally understand your craving for those features the roadmap is just so huge and there's so much stuff to do. But I'll eventually get around to it And thanks for the praise! Oh yesssss, this was great! I finally subscribed to your channel! Hey Mitch, just watched video #2. Great job! Picked up a couple of bits. Ta. Well done that man. keep at it! Wonderful work bro! Keep it up and thanks so much! The only thing that kind of annoys me really, is the inability to sync start everything hosted in AUM by merely pressing play in Xequence or vise versa from AUM to Xequence. This is the single major factor that has stopped me from digging all the way. I really hope these two apps marry someday and really become one. Ableton link v3 should provide a solution for this, right? That’s what I thought too, but we can still start stop transports yet. Don’t know why. You can always automate AUM start/stop with a midi track in Xequence. Apps have to be updated with the new version of Link to do the Stop/Start thing so if Xequence hasn't been updated for this yet it's not going to start/stop. The old version of Link doesn't start/stop as we all know. So just create a midi track and how will that start stop AUM? Okay just watched the second video... there's a lot of goodness that I'd missed when playing with this. In AUM choose AUM destination as midi source in AUM midi control menu. 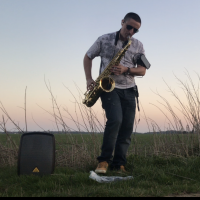 Create an instrument/track in Xequence with AUM as midi output, choose the midi channel you want for that task. Create a midi note assignment in AUM midi control menu. Choose toggle play item and clicking on learn. Then go to Xequence in AUM’s track touchscreen keyboard and tap a key. This should assign the corresponding midi note on AUM’s toggle play. Now you can create a midi part in Xequence with this same note, at the beginning of the arrangement. You can do the same thing at the end of arrangement for stop AUM. This is only for play/stop sync, you still have to use Ableton Link for tight tempo sync. Mitch, thanks for this. Xequence is a really appealing app, but it's a little weird, too, as your initial whiteboard presentation shows (look at all those crazy lines!). I could never figure out the difference between the instrument page and the sequence page. But now I'm getting it. REALLY looking forward to watching you put all this in practice. And because I sense the man is too humble for self-promotion, here's his Patreon link. Are these videos not worth at least a fiver? Are you not entertained? @ExAsperis99 Thanks my kind sir. you are a Gentlemen and a Scholar. I am working on the plan for the 3rd one. Should be out tomorrow, sometime. Hopefully I can make a little time in the early AM to record it. Glad my videos have helped. I have really enjoyed digging deep into this app. I came up with some nintendo-ish type tunes this weekend just messing around. Super intuitive piano roll. This is exactly what I do, but I find it really cumbersome and against a natural workflow. 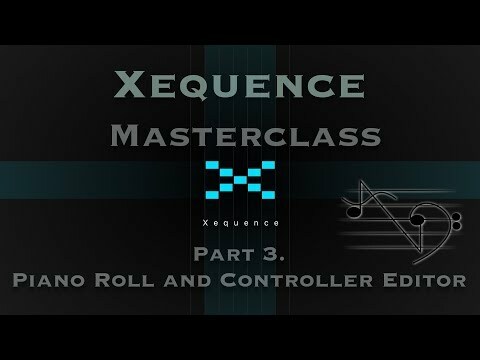 Once you have your MIDI tracks ready your front end is no longer Xequence but AUM, and it's imperative to be able to transparently trigger Xequence from AUM transport buttons, otherwise you have to continuously switch apps back and forth every time you start your song, your audio recording, etc. I sent a request to de dev @SevenSystems asking for the possibility to MIDI map transport functions in Xequence and he was very responsive and friendly. He said it was possible and that he would add this feature to the to do list. Hopefully we will have that sorted out in a future update. I must be 100% honest. There is something in the flow of this app that is counter intuitive for my brain in particular. The desire to press and expect something, doesn't line up for my muscle memory and recall reasoning. I always feel like why can't I just press "blank" instead of going here or there. And I find myself pressing like what why doesn't this allow me to do this. I understand this is a modular post "grid" alignment midi structure. I guess I am a cave man with this and like left to right, line per channel, 2 touch to input notes, done. I can't explain it. I am sure people will say you are just stupid or haven't read the manual. I am not giving up on it, but, there is something repeatedly challenging for me in real world use of the app. At least I know there is 1 other person.